The wedding season is upon us again. Women have always craved a skin tone that is lighter than the one they have. It’s not about dark is beautiful anymore but about fair is pretty. Its not a happy notion but nevertheless one that is desired by women everywhere. Just Flaunt brings you the best technique to get fairer skin than what you already have. Skin lightening facial helped women achieve that goal everywhere and we, at Just Flaunt, help you achieve that goal. Every human being is unique. Every skin type is different. To want to change the skin type to something fairer and lighter requires a lot of effort. Even though there are a lot of home made remedies that can help fix this problem, getting a skin lightening facial at a spa or salon has always proved to be more reliable. Keeping this in mind, Just Flaunt has a special skin lightening facial that reduces your skin tone and makes it the shade you desire. Pores can be covered, bad skin can be treated. Skin blemishes can be treated. If these problems can be treated, then why can’t skin tones be made lighter? With the skin lightening facial treatment at Just Flaunt in Hyderabad, nothing is impossible. What is Skin Lightening Facial? There are several at home skin lightening remedies help. 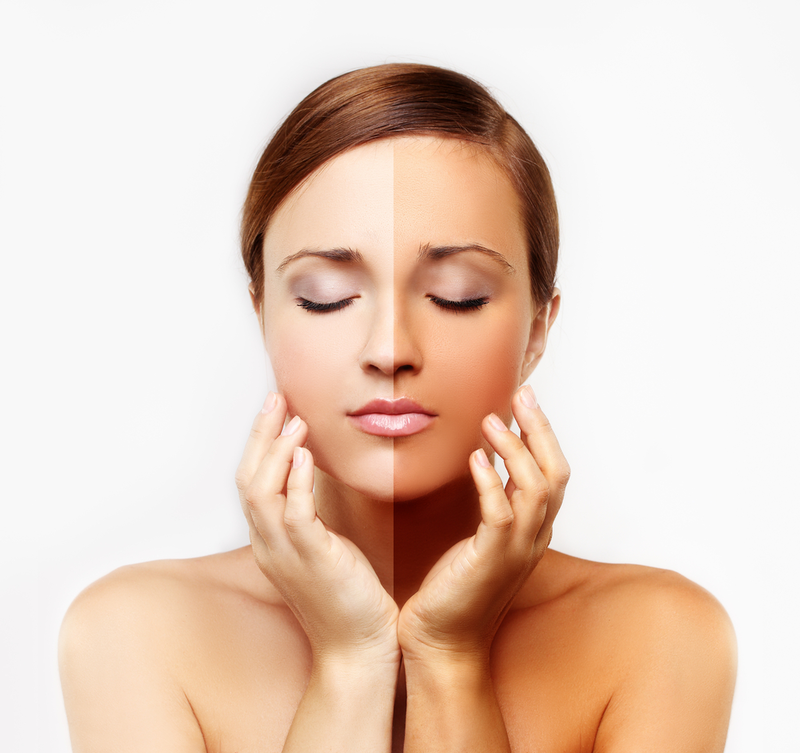 However, what would you do if you want to get an instantly lighter skin tone than the one that you already have? Lightening naturally dark skin may seem like an impossible task. With the right skin lightening facial, Just Flaunt helps you tone down your skin tone to a lighter shade. While we all might have seemingly similar facial features, dark human skin is quite unique. A simple and not properly treated problem can lead to a bigger and more disgusting problem. This non –treated problem could lead to something bigger like a keloid on your face. A good skin regiment is essential for beautiful skin. Detoxify, exfoliate, hydrate, protect, improve pore circulation or minimize makeup. Why get a Skin Lightening Facial at Just Flaunt? If you’re looking for the perfect skin lightening facial in Hyderabad, don’t waste your efforts in looking at too many places at the same time. Just Flaunt in Hyderabad offers you the opportunity to get the exact skin tone you want with the skin lightening facial that it offers. Just Flaunt offers a complete skin lightening facial in not more than one sitting. We also have a wide range of other services that are designed to beautify and relax you. Be it covering your pores or lightening your skin, our wide range of beauty care treatments are designed to treat you like a princess and make you feel special not in the moment, but for as long as you want to. It’s very important for dark skin to be exposed to a lot of SPF `5. The UV rays of the sun can damage the skin permanently. In order to prevent permanent damage to the skin, it’s important to take good and continual care of your skin. In order to do this, take advantage of the services offered by Just Flaunt in Hyderabad and see yourself in a completely different light!